We respond 24/7 for emergencies. 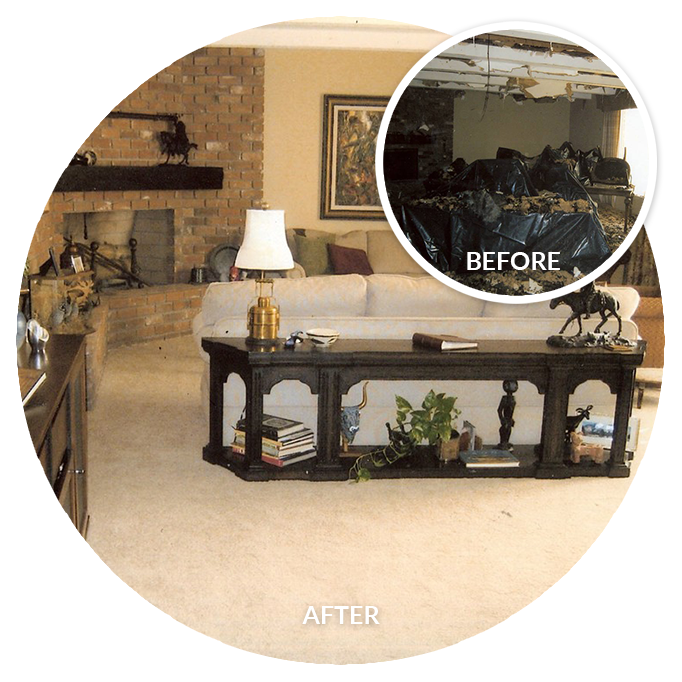 Call 602-257-8444 now to speak directly with one of our restoration specialists. Fire and smoke damage is devastating. We personally guide you through every step in the process. We help minimize fire, smoke, and soot damage to your property, and return your contents clean and fully restored. Dealing with a house fire is no easy situation, but we are here to assist you from start to finish with complete cleanups, rebuilds, and contents restoration to get you back to pre-loss condition fast. 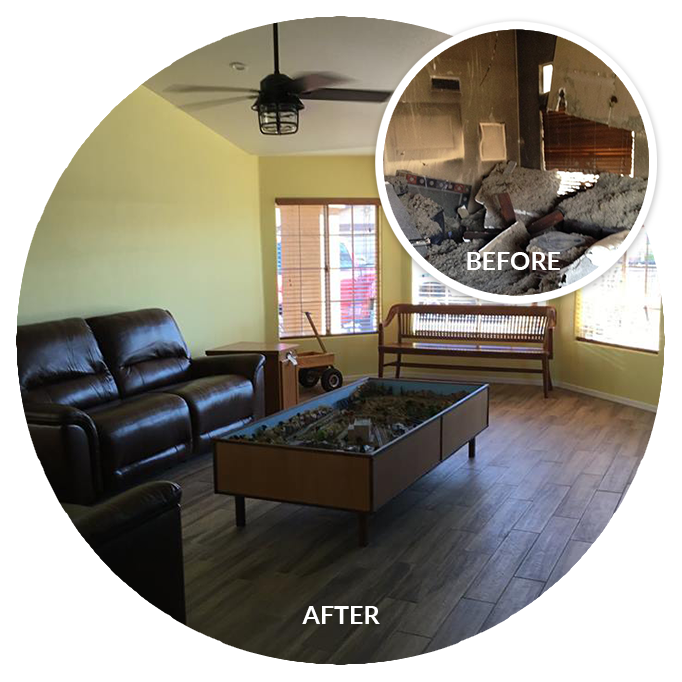 Image Pictured: Before and after a completed cleanup and build back with new flooring from a house fire. Time is Crucial, Call Us Now to Speak Directly with Our Technicians. Our expert staff are certified to handle fire & smoke disasters from start to finish. 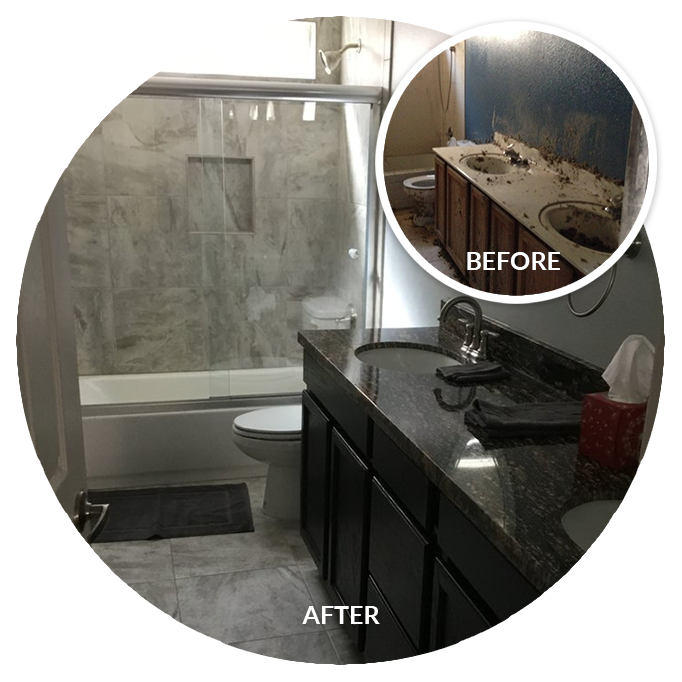 We provide the attention to detail you need to restore your home and peace of mind.